Enjoy the latest book review by Teen Advisory Group member, Elizabeth. “What if the person you were supposed to be with could never be yours? Mysterious and aloof, he captures Luce Price’s attention from the moment she sees him on her first day at Sword & Cross boarding school in Savannah. He’s the one bright spot in a place where cell phones are forbidden, the other students are screw-ups, and security cameras watch every move. 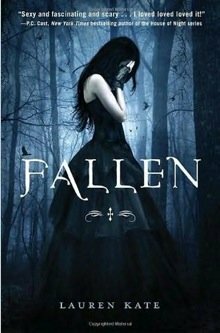 Fallen is the first book in the Fallen series and is a great introduction to the story line. This novel has the least action in it, compared to the rest of the series, but it is still very exciting to read with many plot twists and revelations. Like what you read? Place a hold or find an available copy by clicking here.